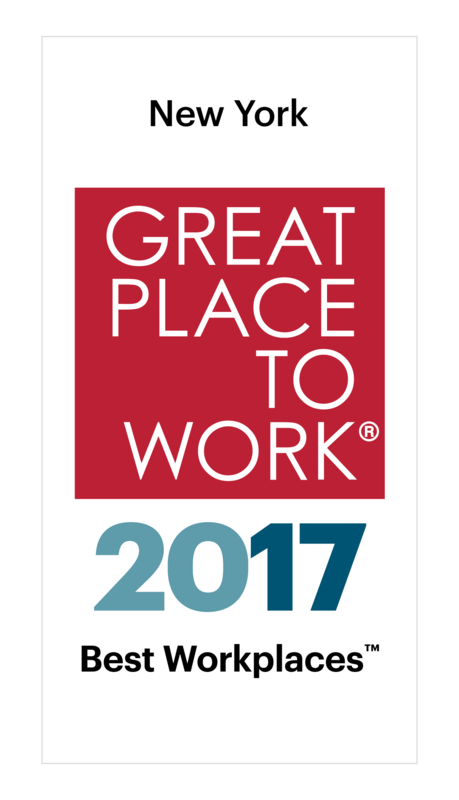 About the Best Workplaces in New York To determine the Best Workplaces in New York, Great Place to Work® surveyed nearly 137,000 employees from Great Place to Work-Certified™ companies with locations in New York state and the New York City metropolitan area. - Key Great Place to Work Metrics. We analyzed how positively employees rated their organizations on over 50 different metrics defining great workplaces, including management transparency, professional development opportunities, meaningful work, promotion equity, and the generosity of benefit programs. - A Consistent Experience. We also analyzed demographic patterns to ensure that companies were creating great workplaces for all employees, regardless of who they are or what they do for the organization. All surveys were anonymous. Each organization’s results had at least a 95% confidence level, 5% margin of error and were normalized for their size and complexity. Best Workplaces in New York averaged year-over-year revenue growth of 24 percent, in part because 90 percent of their employees said theyre willing to give extra on the job.